Tapbuy is a mobile « direct checkout » solution that can boost retailer’s mobile conversion rates up to 500%, across all marketing channels (direct, referrals, email, social, display). Tapbuy allows retailers to make products shoppable from any digital source, via a 100% mobile-optimised purchase funnel. How? - Customers can buy products directly on the publisher’s platform, without any redirection on the retail website (e.g. from blogs, social networks, apps, emails…). 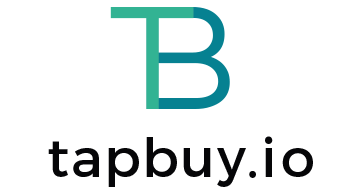 Tapbuy can also be added on the retailer’s website. - Mobile checkout experience is fast and easy, shipping and payment info are saved once to allow one-tap purchase. Tapbuy does not change retailers’ existing processes and is very easy to use with a simple URL that marketers can place anywhere.